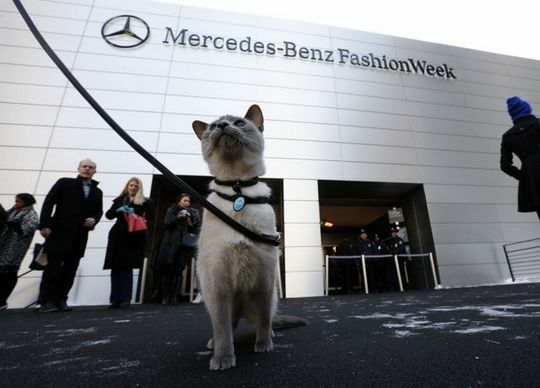 Traveling cat spotted at Fashion Week in New York, USA. Great ! I wish mine was able to travel like this ! Pretty cat. My cats would not react well if I put them on a leash haha. There's not even one cat from Brazil???? I'll try to take pictures of cats in the streets and send to you! This cat is really a fashionista! I love the kitty collection! Must try and find a photo of a cat who hitched a ride with us in Namibia, once, and travelled back all the way to Durban. He simply LOVED motoring. A fashionable kitty for sure. Have a fabulous Friday. small cat in the BIG CITY!